Casino Moons is a multiple-software powered casino site operated and managed by Blacknote Entertainment Group Limited. Some of the providers are Rival Gaming, BetSoft, ViG and TopGame. The gaming choice is pretty wide and diverse and players can easily find their favorites. 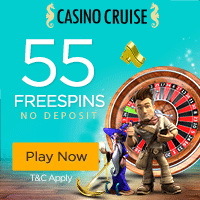 The casino offers various bonuses and promotions and regularly organizes tournaments. It also providers e-mail and live chat support and offers many reliable deposit and cashout options. Casino Moons is licensed in Costa Rica.